This award-winning development is one of the most ambitious projects ever undertaken by Places for People. 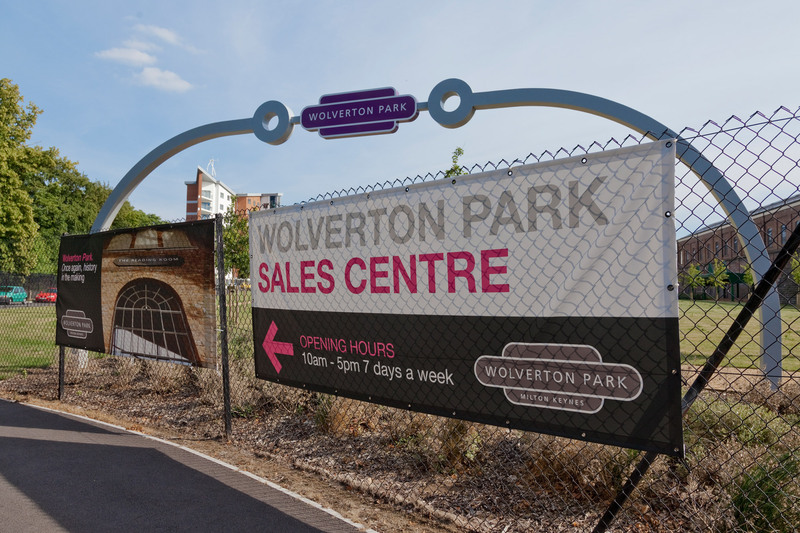 Wolverton Park is a £50 million development involving the transformation of an historic railway site on the outskirts of Milton Keynes. The incumbent agency had not really delivered so our remit was to give the scheme a new identity and fresh impetus for the latter phases. We’d worked with selling agent Knight Frank on a number of high profile projects in the area and they recommended us to Places for People. With so much history and heritage to draw upon, this visionary development was crying out for marketing material to do this unique site justice. The scheme features stunning two and three bedroom houses built within the Railway workshops and the Royal Train Shed, a mix of one, two and three bedroom apartments in two new blocks overlooking the park and canal, as well as retail and office space. So there was plenty of scope to draw on the railway history and the unique nature of the site. ‘New light through old windows, was our ‘strapline’, capturing the next phase of the Wolverton story. Through typography, colour and concept, we presented a fresh, modern identity, whilst showcasing the historic location through use of the extensive archive images. 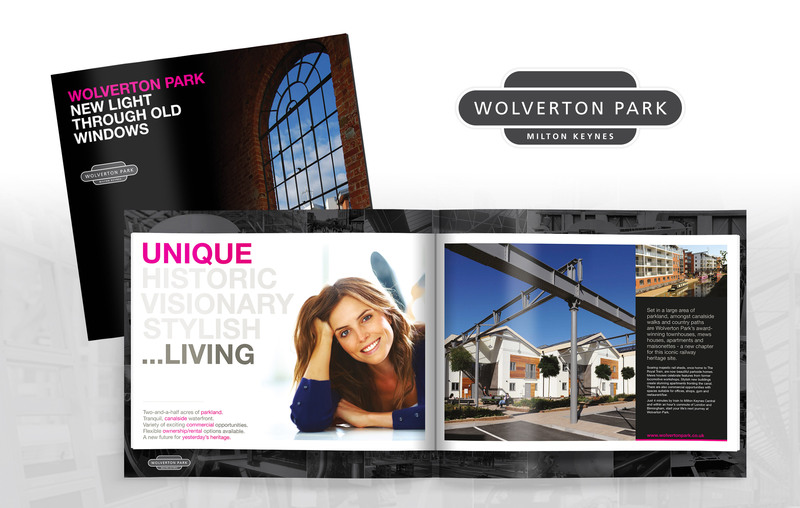 A large format main brochure presented the details of the scheme, the layout, the lifestyle, the facilities and historic context. 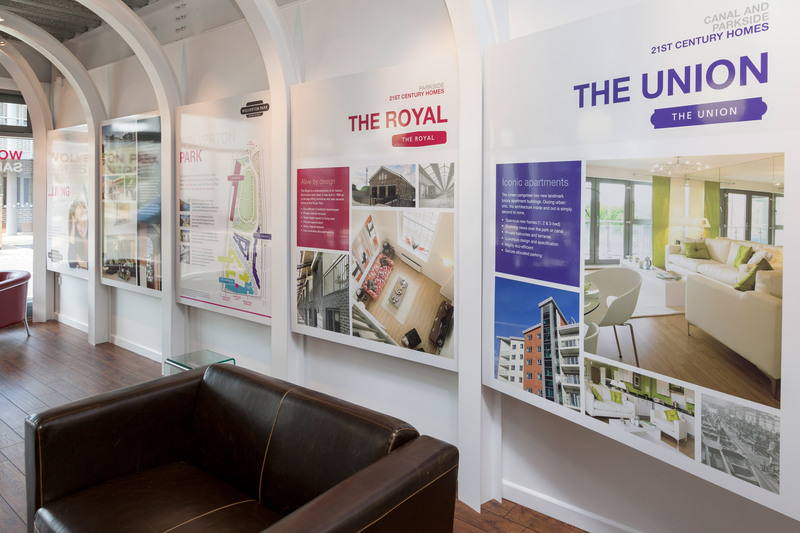 Individual phase brochures presented more specific details of ‘The Union, ‘The Triangle and ‘The Royal’. 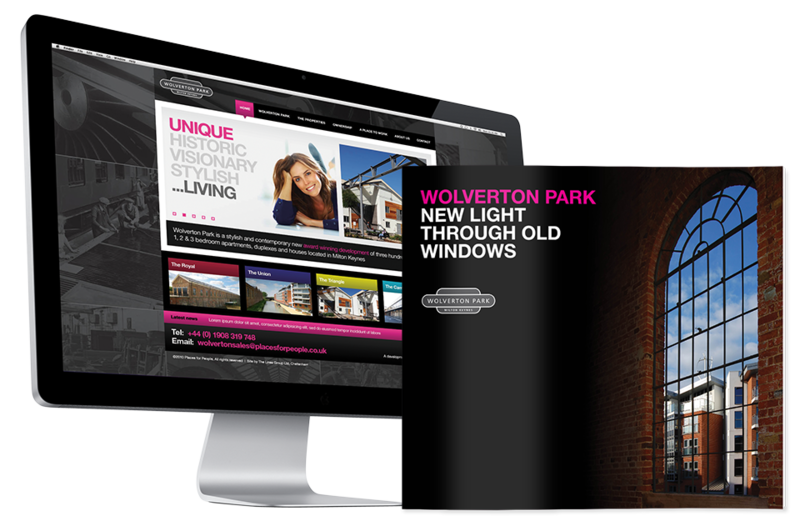 The website presented more information with individual floor plans, prices and the plot status all kept up-to-date online and managed by us. 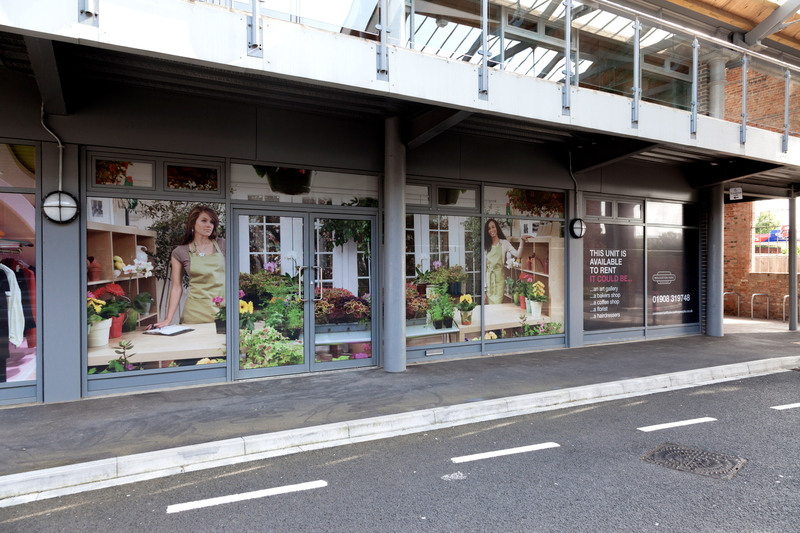 A commercial unit within ‘The Carriage Works’ was utilised and the marketing suite saw the identity and theme maintained with large format imagery and ‘railway line’ metal work to showcase the graphics. 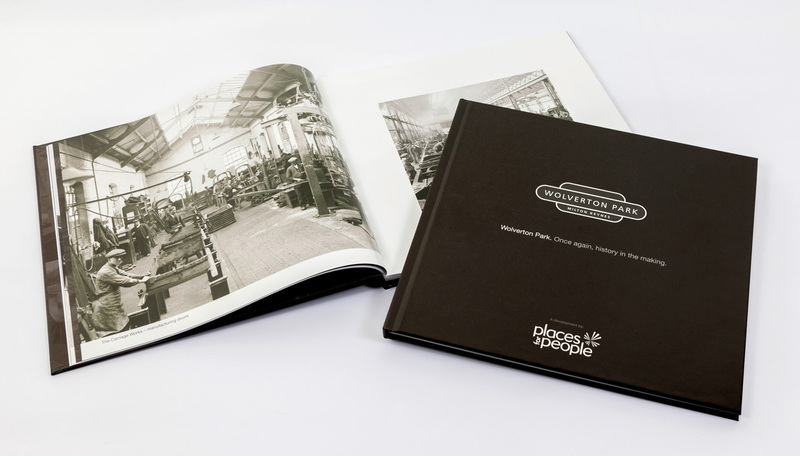 There was also a ‘timeline’ photography book, as a centrepiece of historic interest to the local market. 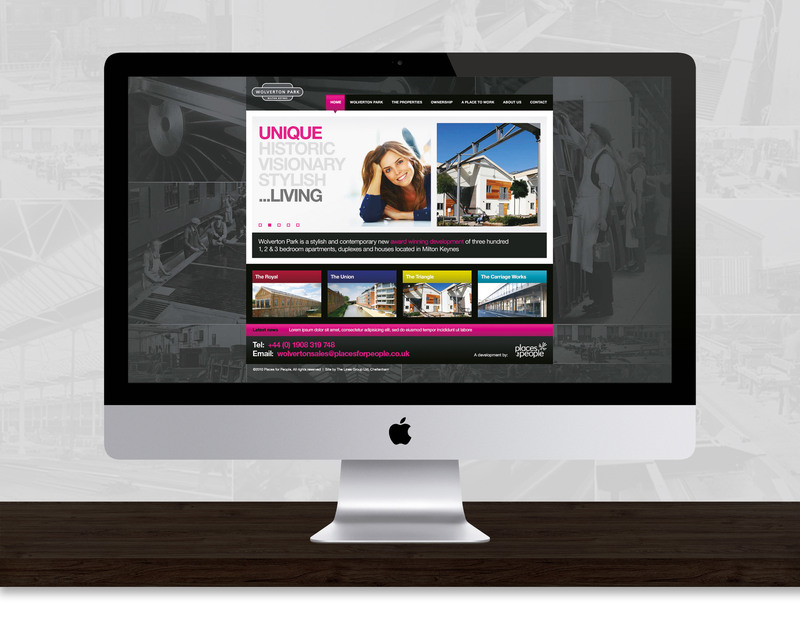 A full range of items was created to support the sales process, ranging from dressing the site with signage, to adverts, invites and promotional materials for the local area. 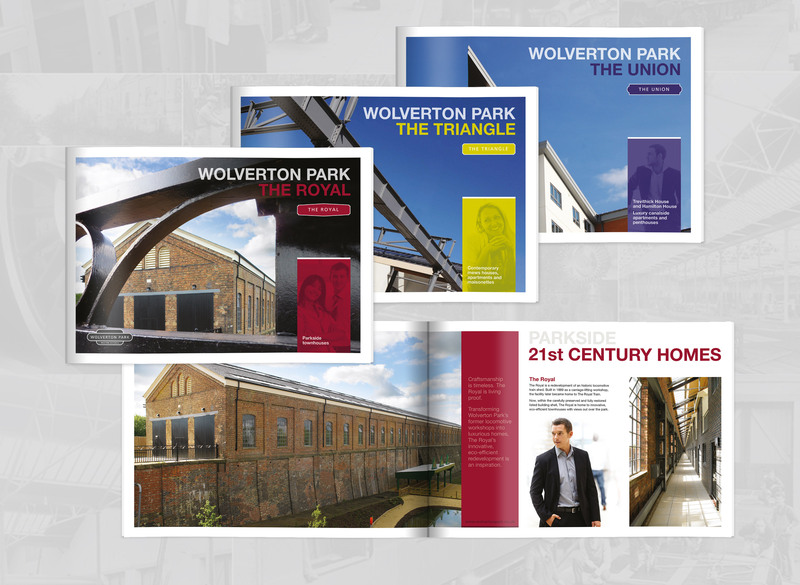 We also devised and produced a presentation book as a moving-in gift for all residents, plotting the history of the site. This was our first project with The Lines Group and boy did they deliver. 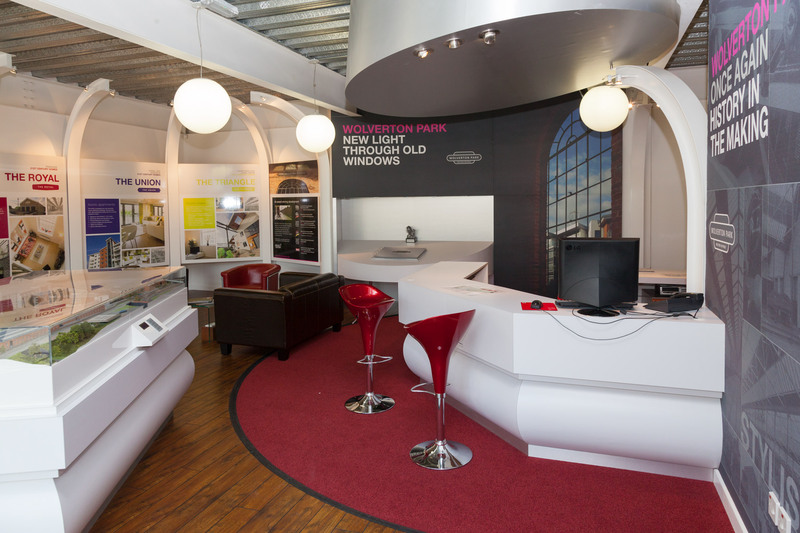 Their creativity and design flair proved a great asset and the attentive account management ensured they produced a stunning product in record time. We look forward to working with them on the next project.